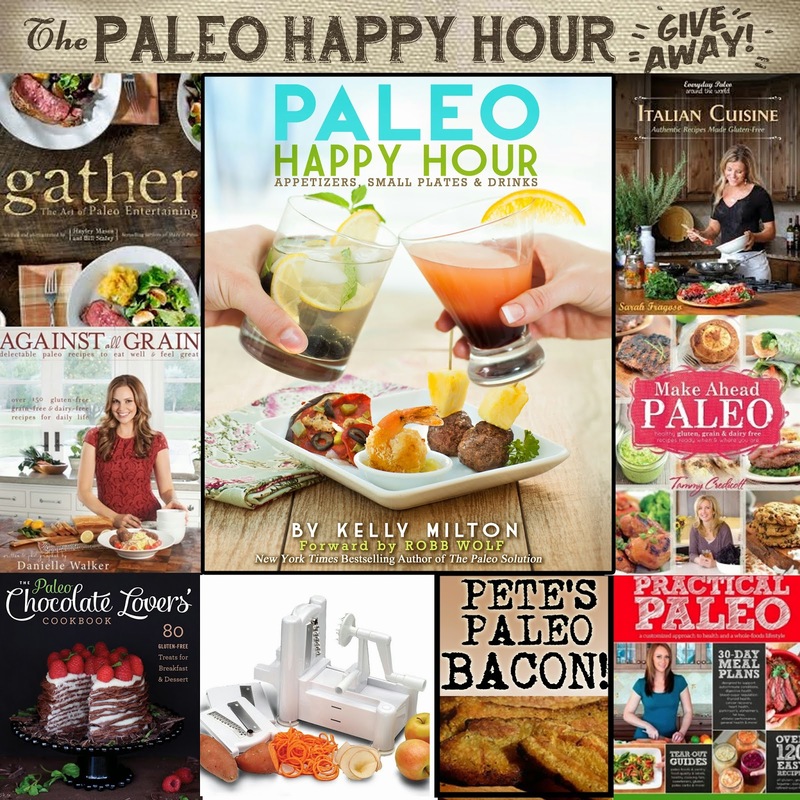 Paleo Girl's Kitchen: The Paleo Happy Hour Giveaway!! The Paleo Happy Hour Giveaway!! seasonal recipes this week for you to celebrate with! For now, though, I have a special surprise. 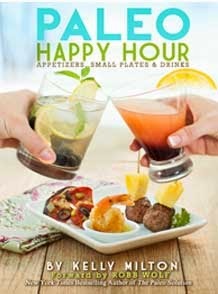 As you know, the book Paleo Happy Hour is now officially released. So to say thank you and share the love, I'm doing a give away! In honor of Halloween I'll be giving away these sweet TREATS! 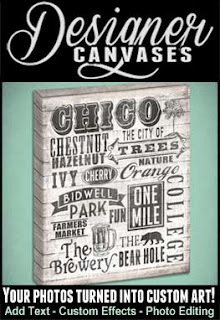 This is over $195 in prizes that could be yours! Thank you so much for celebrating with me! I work from home and I have no kids at home anymore, so I don't dress up anymore. I will probably put on my famous witch's hat though to had out halloween goodies to the trick or treaters. I know...boring. Audrey Hepburn from Breakfast at Tiffany's! I am dying for some of those cookbooks. Thanks so much for this giveaway! I don't know what I"m going to be for Halloween yet!! I'm going as myself -- that's scary enough!!!!!!!!!!! I've been procrastinating and haven't picked out a costume yet, whoops! No costume. :-( Brought here by Balanced Bites! I'm not sure that I'm going to dress up this year. If I do, it will be something simple that I can throw together quickly with items I already own. I won't be dressing up this year, but I do enjoy seeing all the trick-or-treaters and their cute costumes! I'm going to be a cavegirl! Yay me! What a fantastic giveaway! Think I'll try a ghost this year, am watching the budget with savings goals, I have a spare sheet & the neices will still think its spooky enough. Happy Halloween! I'm going to be a squid! maybe a gypsy... I already have the outfit from Ren Fest. I'm going to be a Teenage Mutant Ninja Turtle. loved that show as a kid. Wilma Flintstone and my husband is going as Fred and our dog is going as Dino! Just me. We don't celebrate halloween. Hope this is not held against me in this giveaway. I'm still debating between Jess from New Girl and Shoshanna from Girls! I'm not dressing up, I'm boring! No costume for me, but my sons are going to be Indiana Jones and a skeleton! In honor of the apple season, I will be a late victorian apple for Halloween. First time I will be handing out candy in a couple of years so excited. I will probably do something simple the kids like. Mary poppins? Oh my, I hadn't thought about what I might be! I suppose I'll be a military mama to match my 3 little boys who want to be army guys. What a great giveaway bundle. I've been Paleo for a while now, but I just gutted the pantry and switched my kids over today! I haven't found a costume yet. My six year old is Superman and my three year old is Batman. Was trying to find a girl villain costume but they are all too trashy! This is SUCH a cool opportunity for those of us who are jumping on the wagon of clean eating! I'm tired of my fingers swelling, feeling bloated, and packing on 10lbs a year despite running all the time. Now is the time to add some weights, change up my cardio, and feed my body FUEL, not JUNK! I haven't decided on a costume, as this year we have two new pups that the whole family is excited about dressing up! LOL Priorities, right?! I will not be dressing up this year. My family will be home together enjoying each others company. I am going as Mommy!!! The one who bakes tasty paleo treats to trade for yucky traditional candy! I'm going as Waldo from Where's Waldo. I'm thinking I'll be Rosie the Riveter. Going vintage this year! I have this weird dislike of Halloween, and it's even stronger now that I have kids. No explanation. Anyway, I'll be working that night anyway. I'll be myself this year. I'll be working on Halloween, so I'll be dressed as a pottery studio sales/service person. This year I plan on being a Tiger ballerina! I teach Pure Barre and we are having a costume contest at the studio during the 630 class halloween night!! Ill be working out in make-up with a tail!! We are going to a wine tasting dinner, and my wife will have firefighter multi-company drills, so we might just be hungry firefighters. I pinned a mermaid costume, well a few anyway, to my Pinterest board, in hopes of inspiring me to make it for Halloween. Maybe next Halloween, as it's quite involved but will be lovely when it's done. I'll settle on a princess for this year, since I have the outfit already. Thanks for the great giveaway! I'm going to be Olive Oyle, my sweetie is Pop Eye. I will be a witch! We are going to the Pumpkin Patch with my Daughter's school. We will trick or treat for a bit, then come home and trade in all that artificial candy for healthier options and toys! I haven't decided what to dress up as. i have a Cheshire Cat costume from last year. Don't do Halloween, but love your recipes.... thanks! We are extremely last minute halloween costume shoppers, but we plan on something superheroey for all of us. We are all going as super heroes in our family! Hopefully, I'll be 2-4 lbs. lighter for Halloween, but no official costume!! Working on Halloween night so probably nothing, although I may put on my skeleton knee socks just for fun. For Halloween I'm going to be the DESIGNATED DRIVER... not glamorous but SUPER important! Not going out this year. I'm going as a Source Family Mistress. Haha. My husband already looks like a Father Yod follower so it'll be easy. I am dressing as an lady of Marie Antoinette's court! (Re-purposed gold prom dress, pale make up and pink crazy wig!). I actually wore my costume this past weekend to a party and between my costume and some pretty significant weight loss (thanks to Paleo eating) a lot of people didn't recognize me! Happy Halloween! Two of my Crossfit faves and I were Salt, Pepper and Cumin from "How I met Your Mother" - Just a couple yards of fabric, iron on letters and some colander-hats later and we were a huge hit at the Halloween Party! We went to party this past weekend and I dressed as a Rubik's cube - and yes, it did spin! It also acted as my own portable table so I always had somewhere to put my drink! While I'm not sure what my "side kick" costume will be yet, my 2 year old is Super Gurl!! I'm going to be Superman...I'm a sucker for capes. I'm going to be a military gal! I am going to be grumpy cat! I'm going to be a chef - basically I'll sit at home and whip up some shrimp bisque, passing out candy in between chopping veggies. Tradition! A Cave Girl, of course. I was Yoshi on the weekend, homemade costume that didn't stand up well during the dodgeball tournament I was in! I'm going to be a student... It's the night before I hand in my LAST paper of my degree. Hope to be more creative next year! Thanks for the opportunity to win such fabulous items! Love love love it all!! I am going to be my husband's date for Halloween. It's the 27th anniversary of our first date so we go out every year and celebrate. I am not dressing up for Halloween, however; my department is having a costume party for christmas. Then theme is space movies so I am on the lookout for a borg costume. My littles are gypsies and glenda the good witch. My son is going to be Fred from Sccoby Doo so I am going to be Velma! I'm going to be Tina Turner, and my fiance is going to be Hooch. Tina Turner and Hooch! My husband and I are going to the be the new Panda twins from the Atlanta Zoo....Mei Huan and Mei Lun. God love my husband....he is SO not excited to be a Panda....the things he does for me!! 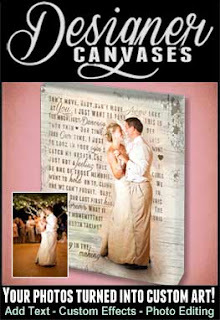 I am so excited to find your website and new book!! I love Happy Hour and Paleo.....who knew you could combine the 2!! So excited to try some of your recipes!! I won't be anything this year, too busy with life at 25! I am going to be a teacher! I'm going as Super Mom! :) Like I do every year! A Minion from Despicable Me or my Zoo Uniform, ZooBoo is raging right now! This is an amazing giveaway. I am a cookbook-aholic. I'm not dressing up. But I'll be tagging along with a Wild Kratt this Halloween. My boyfriend and I are going to be male and female restroom symbols! Just a goofy wig and make up! I am going to be Storm from American Gladiators, the classic one from the 80's!! I'm going to be fifty shades of grey.... Literally. I have a bunch of gray painters samples I'm staple ing to a sweatshirt! Creative and lazy..... Check! I would like to steal some ideas from you gals! I am planning on going as a frustrated Dallas Cowboys fan...easy to do in our household! I'll be the Bride of Frankenstein with my Key Lime Martini! I went as a cat burglar! Simple and got a lot of compliments! I did all of those things ... so I think I'll go as Paleo Princess for Halloween! I'm going to be Miley Cyrus! I am going to be a flapper I just love the hair and the dresses they wore. Afraid that my standard purple witch will be the outfit again - no one does door to door trick or treating in my area anymore and my kids are grown so not much dressing up now, just for work. So excited about the giveaway!! I love eating paleo and love collecting cookbooks to learn more about it! Forgot to give my halloween outfit. Me and a group of girls at work are going to be nerds. Gotta get the suspenders out! I'll be a student nurse for Halloween since I'm working at Peyton Manning Children's Hospital tomorrow! I'll be dressed up as the mom with kids running around trying to get as much candy as possible so we can go home and let them pick out 10 pieces each... boring but true! Not doing anything for halloween other than working. no dressing up. But i'd love to win this. I love your blog!! I am going to be Happy Gilmore and my husband is Bob Barker, we are pretty excited! Fingers crossed to win this AMAZING giveaway! Unfortunately dressing up isn't quite my thing, but I am looking forward to trick-or-treaters! I just found your blog and an looking forward to diving in! I wore my queen of hearts costume last week when I took my daughter to Mickey's Halloween Party.... getting on the Matterhorn in a full length dress is a challenge to say the least! Love your awesome recipes! I'm going to be an angel with a little devil showing. Not dressing up this year, but I'll be ready with sweets and looking forward to cute costumes from the little ones. What a wonderful PRIZE package!! I am going to be at home giving away candy. I'll be at work this year unfortunately...but last year I was the Angry Bird Pig! I will be working. :-( Thanks for the opportunity for such an amazing prize package. We don't celebrate Halloween, but we do have a wonderful Reformation Festival with a pig roast and other fun things. Thanks for the give-away. I'll be the mom of a purple dinosaur...not THAT purple dinosaur! I will be a mommy bringing Thomas the Train and a cute doggy (my two boys) with me. I'm going to be Rene Magritte's "The Son of Man" painting. No one will understand... but that's okay! Well, I cheated at a co-worker's party and simply dressed nicely and said I was "arm candy" for my husband, so in the spirit of an actual costume, I will be a lady corsair on the day. Watching Charlie Brown with my kids. What a wonderful giveaway! Pick me pick me! I'm going to dress up as a witch! hehe! Low key this year. No costume. We live so rurally that we don't ever get any trick or treaters so no need to dress up if its just me. Per my daughter's request: a mama ghost! I don't dress up for Halloween, I stopped when I was about 9. I don't get into the whole halloween thing, but what a great giveaway. I am taking my 2 little girls. They are going as a duck and a bumble bee. I think I am going to be a quarterback (attaching a large fake quarter to the back of my t-shirt) LOL! My kids are dressing up as Minions and I'm going as a good witch! I'm thinking I'll dress up as a ballerina! I will be dressed as a lovely peasant lady from the 10th century. I'll be at home studying for exams! I decorated my house to the max with Halloween decor for the kids so I am skipping the costume this year... I do however want the cookbook!! I'm going to be a grown up for Halloween :) Awesome giveaway! Won't be dressing up this year. :( But looking forward to seeing all the little ones in the neighborhood decked out - that's the best part anyway. Until now, I don't have a plan for Halloween..